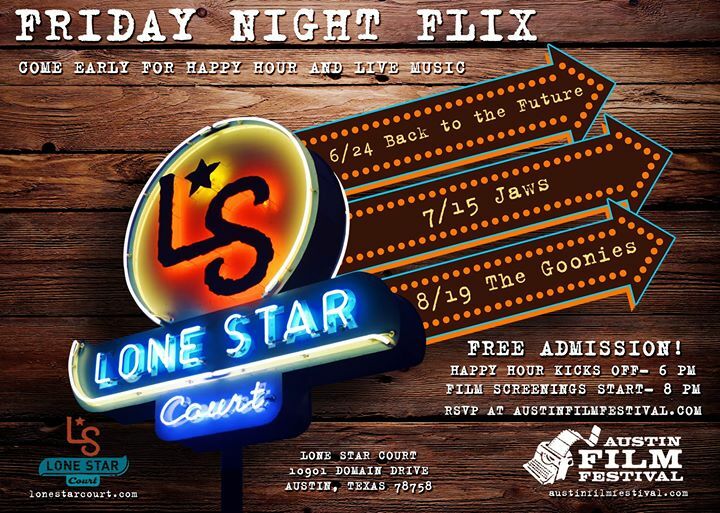 Join us on Friday, August 19th as we continue our Friday Night Flix series with the Lone Star Court featuring the 80’s classic The Goonies. A group of friends who call themselves “The Goonies” find a treasure map leading to millions of dollars worth of gold, which would be enough to save their homes from closure. Unbeknownst to them, a trio of Italian criminals is also trying to grab hold of the gold. This OUTDOOR screening is FREE and open to the public. Pre-screening happy hour starts at 6PM. Screening at dusk: 8:00PM.